Scandia is suitable for 3 to 6 persons small and medium sized sauna rooms. It can store up to 22 kg of stones and be controlled either with built-in or separate control units. Built-in control unit is reversible from left to right. Outer casing is made of stainless steel. Also available with optional fiber coating. In addition to their classy appearance, fiber coated heaters are also safe to touch during operation. 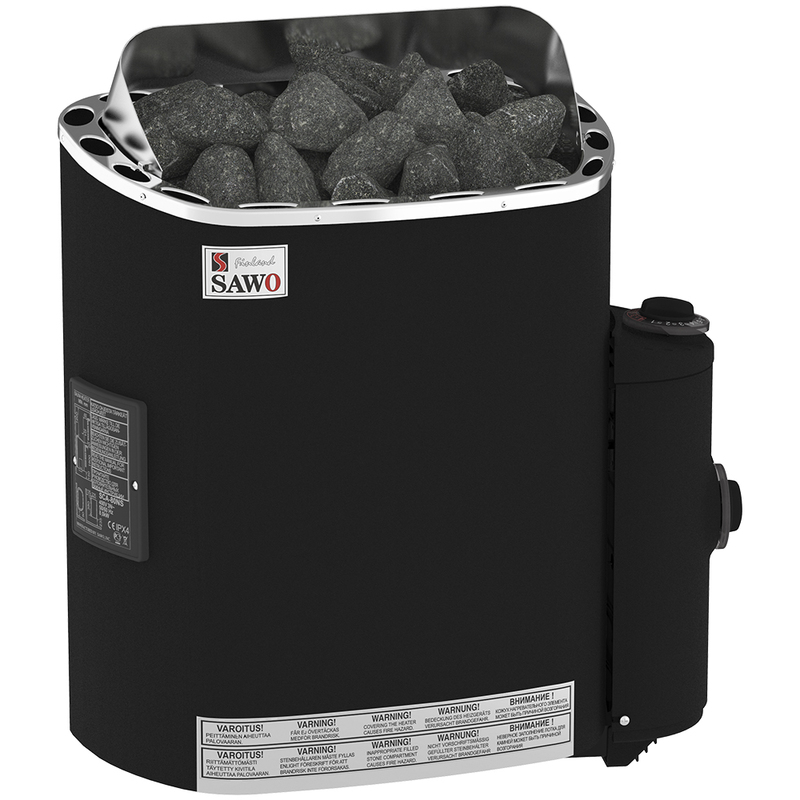 For 6 kW to 9 kW Scandia heaters an additional heat reflector is included. The reflector protects the wall behind the heater and leads warm air also to the lower part of the sauna room.